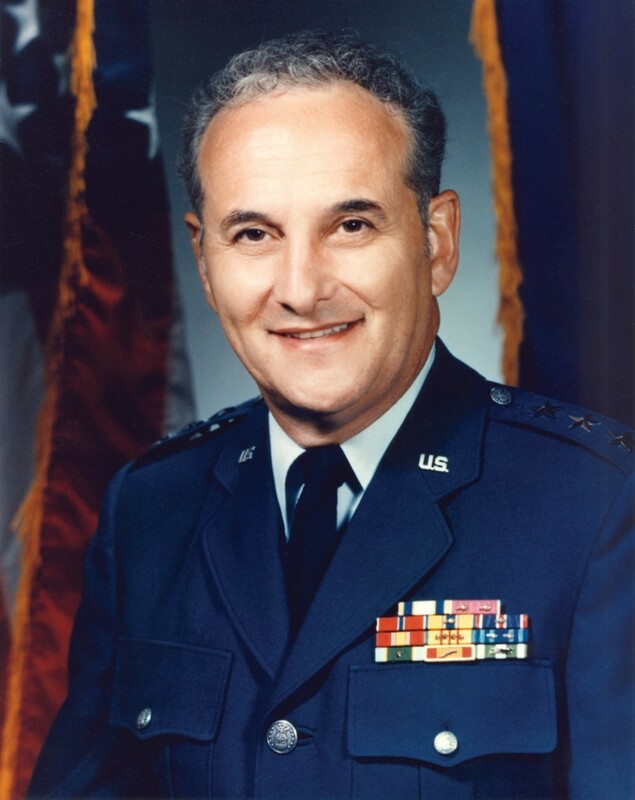 The PFIAB report (which the National Security Archive fought for 12 years to declassify) revealed that the danger of Able Archer 83 ebbed after Perroots, then a young air force officer, made the “fortuitous, if ill-informed  decision” … “out of instinct, not informed guidance” to do “nothing in the face of evidence that parts of the Soviet armed forces were moving to an unusual level of alert” during the exercise. By not responding to Soviet escalation in kind, Perroots essentially ended the two Super Powers’ nuclear anteing during the War Scare –and, as it turned out, the entire Cold War. While researching the War Scare, I had tried to speak with General Perroots, but was unfortunately not able to due to his health issues. Adding even greater tragedy to his death was that on the same day he died, I received a letter from the DIA stating that it could not find its copy of Perroot’s letter about his role during Able Archer 83 and his view of the danger. 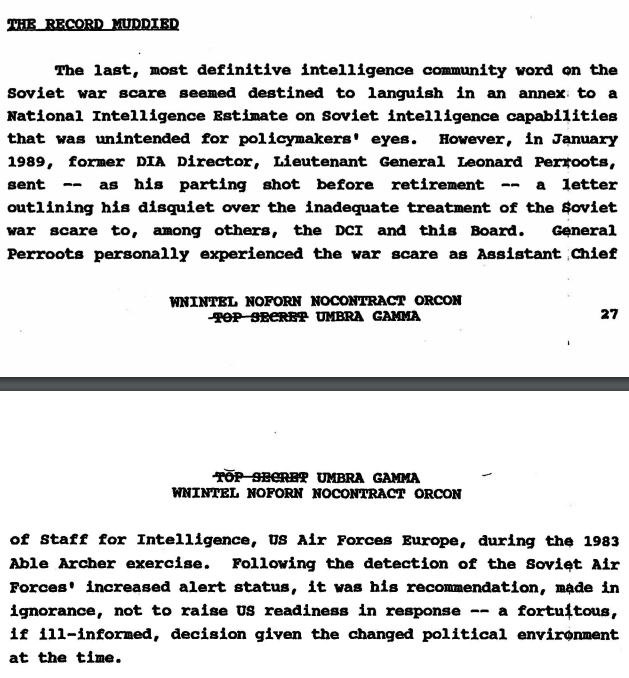 The DIA informed me that “Historical records were maintained by individual directorates which often resulted in the loss and destruction of records.”** The death of Perroots coupled with the probable “loss or destruction” of his crucial account of Able Archer 83 has reminded this historian of the fleeting fragility of the past we try to document. **The report is entitled “Special Program Intelligence Nuclear Missile Attack.” The CIA has withheld the relevant portions. The National Security Archive, of course, is appealing. ***There may yet be other copies of this record at other agencies which can be found, including at the US National Archive, possibly in the PFIAB’s working files, or at the Central Intelligence Agency. 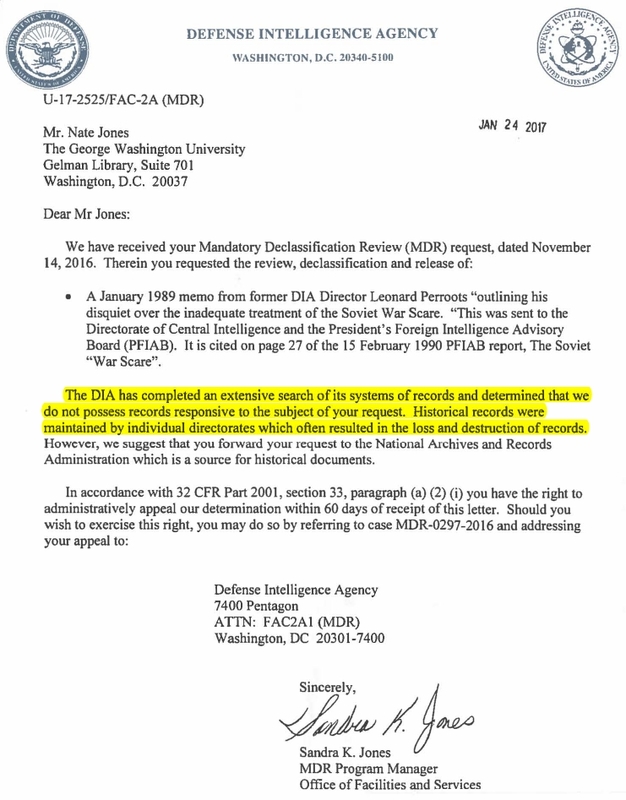 Disturbingly, the CIA has claimed that Perroots’s letter must be classified in full and no portion of it can be released to the public without harming US National Security, despite the plethora of information about the War Scare now available to the public.